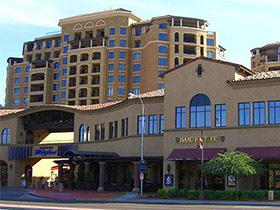 Across the street from Scottsdale Fashion Square, this 1.1 million square foot development contains an underground multi-level parking structure, street-level retail and upper-level office space totaling 200,000 square feet. 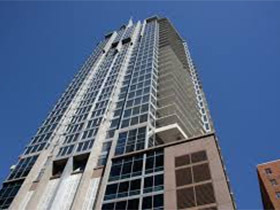 Two thirteen-story residential towers were completed in the second phase of construction. Our Design Assist services included electrical installation and distribution and Design-Build fire alarm. 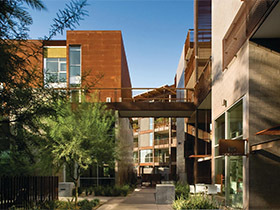 Safari Drive is a luxury condominium complex in Scottsdale, Arizona where the Safari Resort used to reside on the waterfront of the Arizona Canal. Nine low-rise buildings range between four and six stories and total 338,000 SF. There are 215 units which vary between 800 and 2,400 SF. Our Design-Build services included electrical design and installation, site lighting and low voltage systems integration for telecommunications, security and private access. High end custom fixtures were installed throughout, and Wilson Electric advised on energy-efficient methods to deliver cost-savings to the future tenants. The thirty-four story 44 Monroe is the tallest residential tower in Phoenix, stretching 398 feet into the sky. It is 523,619 total square feet and houses 196 residences, ranging from 780 square feet to 4,800 square feet. Wilson Electric was part of the Design-Build team. 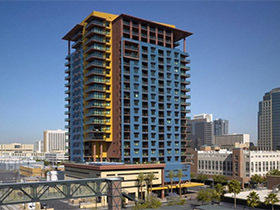 Summit at Copper Square is a 405,000 square foot, 23-story luxury condominium development in downtown Phoenix with 165 upscale units and a four-story above-grade parking garage for residents. 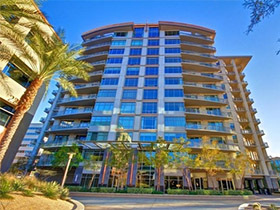 This luxury twelve-story condominium high-rise tower on Camelback Rd is 134 feet high with approximately 263,515 square feet of living space divided into ninety exquisite residences. Four stories of below-grade parking totals 108,930 square feet. Wilson Electric provided Design-Assist electrical services on this project.